Don't worry - we CAN help! At the Hair Growth Clinic, situated within Dr Xavier's award-winning medi-spa clinic in Southampton, we understand the often-devastating consequences for many men and women of losing their hair or seeing scalp-hair thinning over time. We offer a clinic dedicated to the problems associated with hair loss, or perhaps better described as a clinic for hair regrowth or hair gain. Everyone is unique so our hair growth clinic offers a range of medically-based treatments and therapies to help treat hair thinning and balding that is individually tailored to you by one of our trained medical doctors - Dr Elina, a GMC-registered doctor who is selected by Dr Xavier himself to perform hair growth consultations and treatments in his clinic. "Understanding your individual needs is our priority so that we can offer you a personal treatment plan that takes you on a journey to thicker, fuller hair with the added confidence this can bring." Your journey to fuller, thicker hair starts with a no-obligation consultation with Dr Elina, a GMC-registered medical doctor, who is trained in all the treatments we offer for hair restoration. Your consultation lasts around 30 to 45 minutes and includes a scalp assessment as well as an assessment of your health, underlying issues affecting your hair and, importantly, your expectations. The consultation is also your opportunity to ask questions and ensure that you get the answers to all your questions and concerns. 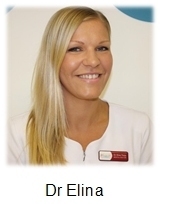 Dr Elina will recommend a treatment or treatment plan for you based on the assessment and then recommend you taking a period of time at home to reflect on the information shared with you during the consultation to ensure that you are making an informed choice about any treatment that you later decide to have. There are different causes and types of hair loss and this will be explained and discussed with you. We have a treatments that are effective in helping to treat or improve hair loss caused by many different causes. 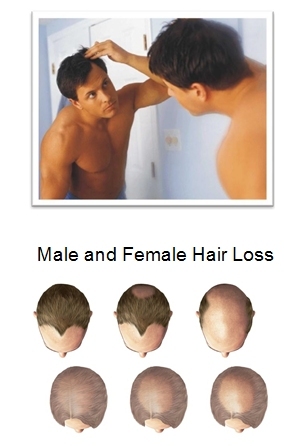 Androgenic Alopecia - pattern baldness that is largely genetic. This is the most common form of Alopecia and is one particularly suited to treatment. Alopecia Areata - patchy circular areas of hair loss and balding brought on by stress and auto-immune conditions. Treatment can help. Alopecia Telogen Effluvium - This can be caused by child birth, fever, severe infections and illnesses, major surgery, chemotherapy or medication related. The body is going through a major change and hormones generated can lead to hair loss or thinning. Treatment can help in your hairs' recovery. Traction Alopecia - this form of balding is caused by the physically pulling of the hair or excess weight on the hair caused by hair extensions, braids and weaves. Given the popularity of hair extensions these days this form of Alopecia is getting more and more common. Treatment can help in your hairs' recovery. 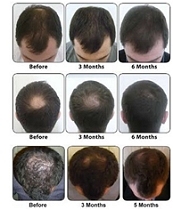 Similar to all hair loss treatments early intervention and prevention is certainly better but not absolutely necessary. We offer a range of safe and effective treatments to help. Click on each or scroll down for more information. PRP is a well-established treatment in medicine, dental and orthopedic surgery and uses the power of your own body to stimulates collagen production, helping cells regenerate and boosting the skin's natural repairing process. For a number of years it has also been used to stimulate hair growth. PRP is made from your own blood. This means that there are no chemicals/toxins or foreign bodies involved in the treatment - so, if you are searching for a more natural treatment with no risk of 'rejection' - then there is no better treatment than PRP. PRP treatment involves our doctor removing a small amount of your blood (just like you having blood taken at your GP) which is then placed in a special centrifuge machine to extract and concentrate the serums in your blood - i.e. the PRP. We then carefully and gently micro-inject the PRP serum back into your scalp where it starts to do its work. 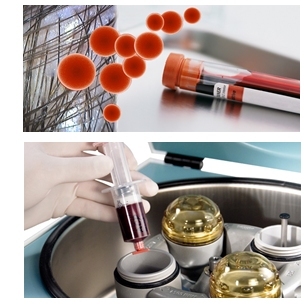 Who is PRP treatment suitable for? If your hair is thinning and you would like to slow or even stop your rate of hair loss then Platelet Rich Plasma (PRP) may offer an effective solution. All hair treatments at our clinic are performed by Dr Elina, a qualified medical doctor - so you will be in good hands. The PRP serum is delivered into the scalp, stimulating follicles and improving the thickness of the hairs in each follicle, resulting in thicker, healthier-looking hair. PRP uses the healing and regenerating powers of your own body so unlike some drug-based treatments there is no risk of side-effects such as loss of libido and other unwanted effects. PRP works on active follicles so it is a preventative treatment, intended to slow the rate of hair loss and thinness, so it is generally better to commence treatment when you first start to notice a problem - the sooner you start the better. Please note however, that it is not a treatment for baldness but it can help improve the results of hair transplants too. PRP has been used in hair restoration surgery since 2004 and its role is expanding as the benefits become better understood. The use of PRP has also been used in a number of other branches of medicine and surgery so has a good safety and results profile. It has been used by professional athletes and sports men and women to accelerate the healing process in the body, enabling them to return more quickly to competition. It is extremely safe, since you are the donor there is therefore no chance of rejection. The treatment can also be used in combination Mesotherapy and with Intense Photo-Diode Therapy / Low Level Laser Therapy (LLLT) as there is a synergistic effect. We also offer these treatments and Dr Elina will be able to advice you on a treatment plan suited to your own unique circumstances. Most patients generally see a reduction in the shedding of hair in around 4 to 6 weeks. Between 6 to 8 weeks you will generally start to see an improvement in your hair's character and feel. An increase in hair density should star to show between 4 to 6 months and improvements include your hair becoming shinier, more vibrant and less brittle will result. We do find that younger, healthier patients with a good diet and who have just started to experience hair loss will see the best results and patients with moderate and advanced hair loss usually see a reduction or cessation, a smaller percentage see hair thickening. You must have a consultation with Dr Elina before starting a treatment plan. You will require an initial 'base' course of 3 treatments but up to 6 treatments may be recommended. Treatments are spaced between 4 to 6 weeks apart so the full course will take from 3 to 8 months to complete. Treatment success can be boosted with additional Mesotherapy treatments and LLLT (in clinic or home) treatment. The treatment is progressive and results will only show in 4 to 6 months. We use topical anesthetic creams to help patient comfort, but it is not pain free - but is comfortable. After treatment you will not be able to wash your hair until the next day and you might find it not appropriate to go back to work or social engagements during this period. Your treatment includes specially-formulated haircare products to use each day to ensure your scalp provides a healthy environment to support your treatment. This includes a daily shampoo, optional conditioner, scalp treatment spray and DHT-blocker capsules. Mesotherapy is a non-surgical medical micro-injection technique that can help reverse hair loss and preserve existing hair follicles. Mesotherapy has been around for decades and is very popular in France in particular, where medical doctors are routinely trained in Mesotherapy techniques in general medicine training and it is formally recognized medical discipline in any countries. It is suitable for both men and women who suffer from hair thinning, alopecia or male pattern baldness. Mesotherapy involves very small (micro) injections of a combination of vitamins, minerals and DHT blockers (the lack of this compound is thought to be the cause of most people's hair loss). The injections also stimulate blood micro-circulation to the hair follicles, which helps to promote new hair growth and sustain existing follicles. All Mesotherapy hair treatments are performed by our Dr Elina and she will advise the best treatment option for you. Most clients find that they require five or six treatments over a six month period before results are visible, however individual results vary and you may find you need more or less treatments to attain your desired result. Mesotherapy can be a standalone treatment or combined with PRP and Low Level Laser Hair Therapy to enhance results. Dr Elina will be able to advise you following a medical consultation.The treatment itself takes under one hour, often less, and usually a course of 10 sessions is recommended. We start with an intensive course of one treatment every one to two weeks followed by one treatment per month for 4 months. The full course therefore takes between 5 to 8 months. In order to keep the results maintenance treatments are generally needed every 3 to 4 months. You will require an initial 'base' course of 6 treatments (one per week) but a further 4 treatments (once a month) will usually be recommended. Treatment success can be boosted with additional Intense Photo-Diode Therapy /LLLT (in clinic or home - see below) treatment. Intense Photo-Diode Therapy or as it is also known as - Low Level Laser Therapy (LLLT) is not only used for hair regrowth, it is also used in medicine for a variety of reasons in different wavelengths, including as a cancer therapy, pain management and for skin rejuvenation. Don't let the word 'intense' worry you in any way. As a treatment for hair restoration and growth, LLLT is used on the red light spectrum, and the term "cold laser" is used because it refers to an absence of any heat emitted, so when you sit under the laser for hair loss you will feel no heat, or any other type of sensation. Our chosen in-clinic Laser Therapy device uses 171 laser diodes each emitting energy at a wavelength of 650nm, to penetrate the skin, into the hair follicle and work at a cellular level. It increases blood micro-circulation and stimulates cell division within the hair follicle. This results in hair growing through that is thicker and stronger, to give a fuller look to the hair on the scalp. The additional benefit of the in-clinic laser is that the laser device is able to treat the whole scalp at the same time - so you achieve full coverage, unlike a hand-held device that can only cover a small area of the scalp at a time. We offer the intense in-clinic LLLT treatment which, in most cases, is spread over a course of one year with treatment sessions twice-weekly to once-weekly to once-fortnightly depending on your progress. The wavelength of the light has to be within certain parameters to achieve laser hair growth, and our laser operates within parameters that have been demonstrated in clinical studies to be most effective and are parameters that are FCA-approved for the restoration of hair. The addition of a home use laser device - often referred to as a laser comb can help to support your in-clinic treatment because it gives you the opportunity to target areas of the scalp with additional laser energy when you are able at home. There are lots of laser combs and laser caps on the market - a simple search on Amazon and Ebay will give you a bewildering array of devices and it can be rather confusing. However, donâ€™t be fooled - not all device are the same! Some are simply red lights and not laser diodes - there is a difference! 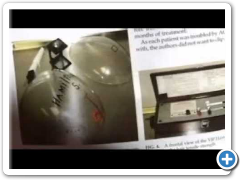 The device that we have selected emits energy from 18 laser diodes at exactly the same FDA-approved settings as the in-clinic device so a synergistic effect can be felt. Obviously the 18 lasers cover less of an area than the 171 diodes on the in-clinic laser but it is a good way to target specific areas to give them more treatment more often. You must have consultation with Dr Elina before starting a treatment plan. You will be required to attend for in-clinic treatment sessions twice per week initially for a period of 3 to 6 months then the frequency generally reduced to weekly or two-weekly. Apart from occasional holidays the frequency of your treatments will determine the effectiveness of your treatment so compliance is key. Be prepared for this being a 12 month treatment plan. Treatment success can be boosted with additional PRP or Mesotherapy treatments or using a home hand-held photo-diode device that we can recommend. The treatment is progressive and results will only show 4 - 9 months. The use of topical anesthetic creams is not needed because it is a cold laser so there is no pain or heating sensation. The treatment is full comfortable and many report is relaxing. Your treatment must include a set of specially-formulated haircare products to use each day to ensure your scalp provides a healthy environment to support your treatment. This includes a daily shampoo, optional conditioner, scalp treatment spray and DHT-blocker capsules. Despite many claims you read in the press and in magazines do not be fooled by â€˜glossyâ€™ claims of miracle cures to hair loss by taking 'a tablet at day' - if these kinds of products worked we would all be using them and we would be recommending them and hair transplants and other treatments would not be necessary! However, some products can help to simply provide a healthy scalp environment to support good hair growth and indeed support any treatment you are undertaking to help you get good results. Using a combination of the right, medically-advised products and also help in the stimulation process so having a synergistic effect with the treatment and of course even after your treatment has finished you can continue with these specially-formulated products to support good scalp health to maintain the results you achieved. 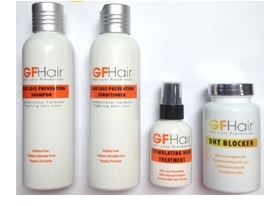 We actively recommend a range of products that have been specially formulated for hair loss that are designed to be provided by hair loss trained professionals and not via glossy magazine adverts and websites because there are certain contra-indications that means the products cannot be used by everyone - they have to be provided as part of a supervised treatment plan. The products include a medicated shampoo, a conditioner (optional). They also include a scalp treatment spray that helps to inhibit an enzyme action in the hair follicle that is used in the hair loss process and finally DHT-Blocker daily capsules that help to counter the effects of this powerful hormone that contributes to hair loss.